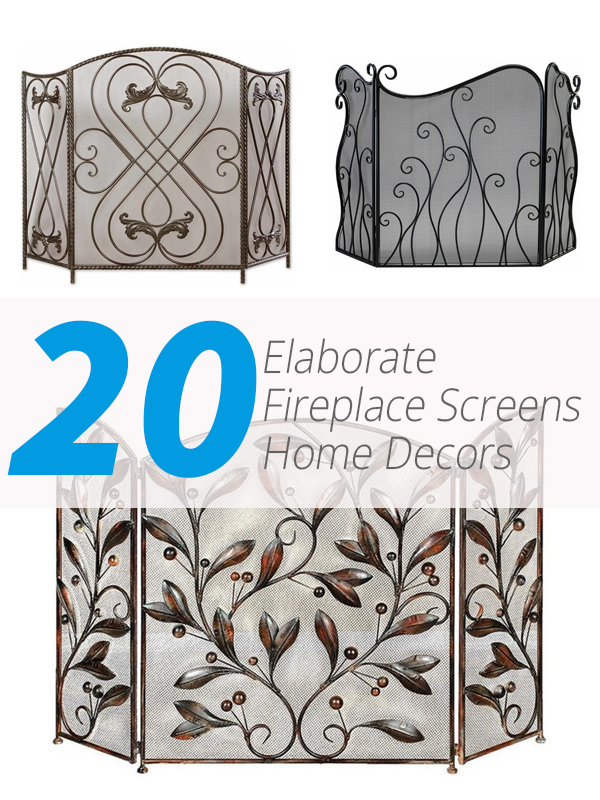 If you saw the other list we have about fireplace screens, I’m pretty sure that you would have loved it. They are pretty items that we do not get to see every day when we go to the mall; they have simpler designs than the ones that we will be showing you today. 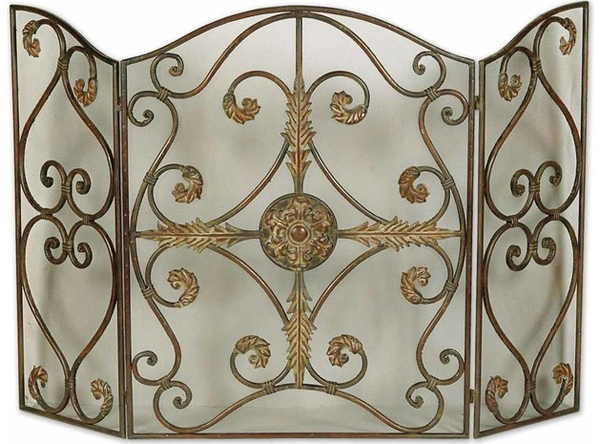 Below is a list about 20 Elaborate Fireplace Screens for your Home Decors. 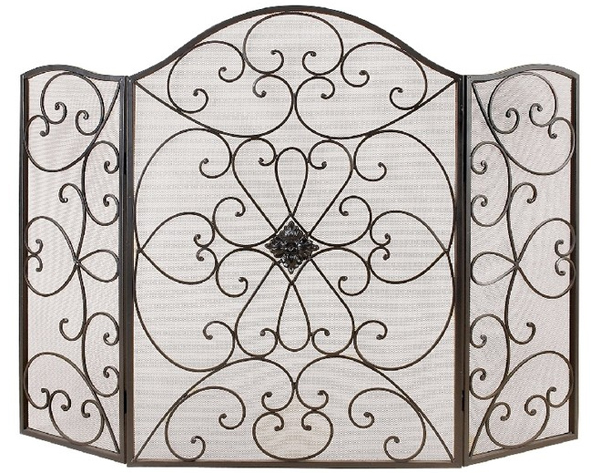 Pretty interesting because these items are actually functional, so the fireplace screens are both functional and decorative! That is why we categorize this list as home decors! Take a look below and hit us with those comments! 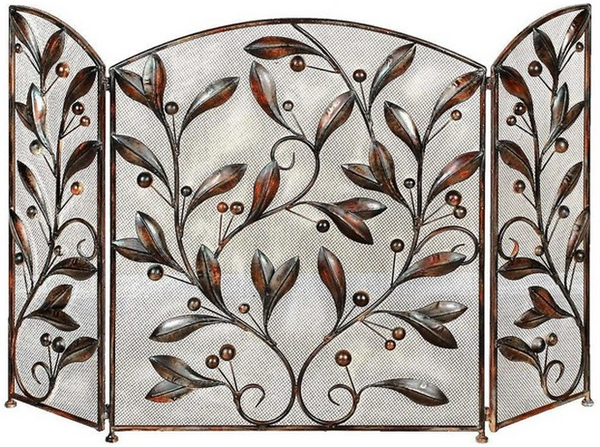 The intricate detailed leaves in this fireplace screen are just lovely! Except that these leaves are in bronze, they could actually pass as real leaves (for kids). 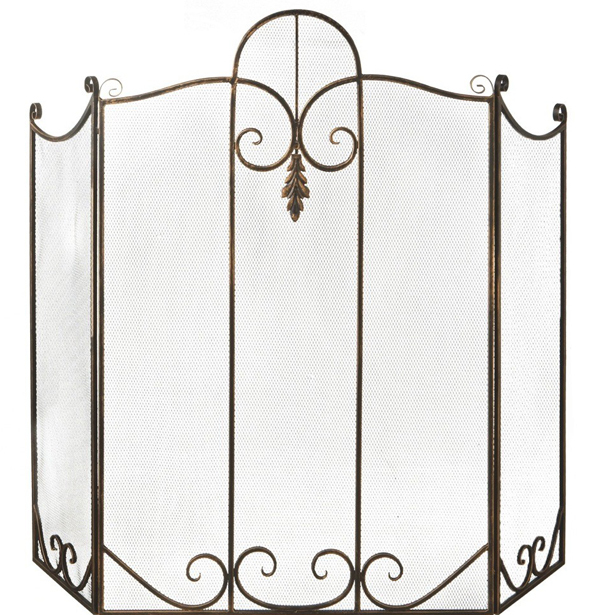 Charlie is a fire screen that shouts simplicity in detail. 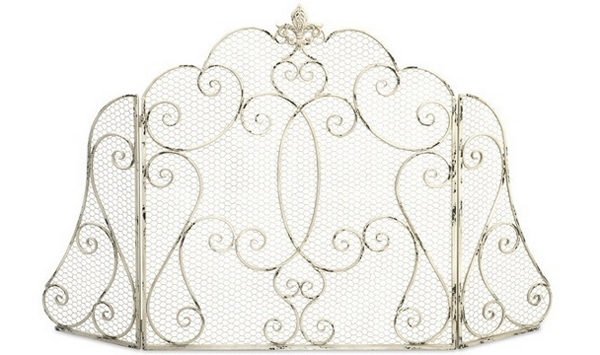 The details on this fireplace screen quite remind me of royal guards or something similar to it. Do you see it too? 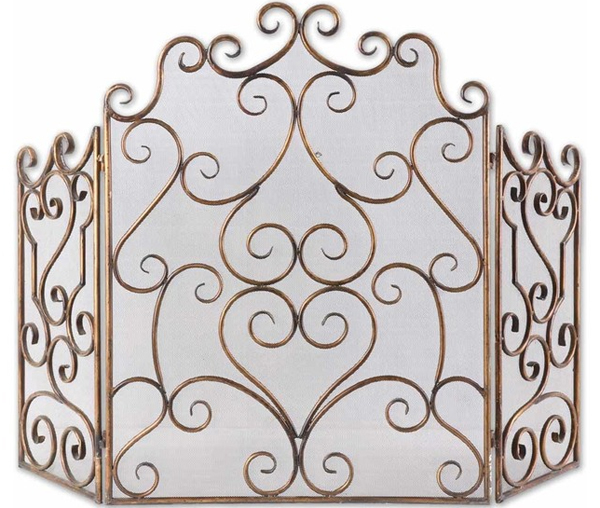 Evalie is one feminine and curvy fire screen! Don’t you think so too? If I had somewhere to put one of these, I’d actually get one! 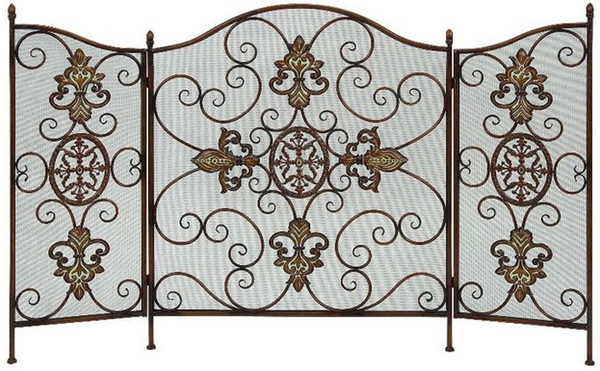 Here is one cute screen you can get from Uttermost Furniture! The shape and for is just fancy and cuddly! Scroll work at its coolest! 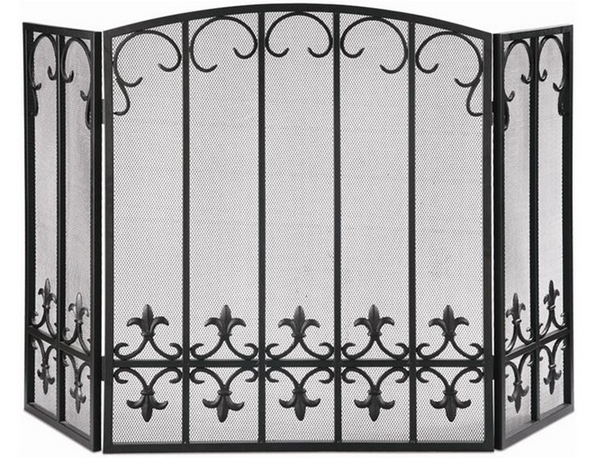 This is ideal for any home that wants simple but beautiful decor! 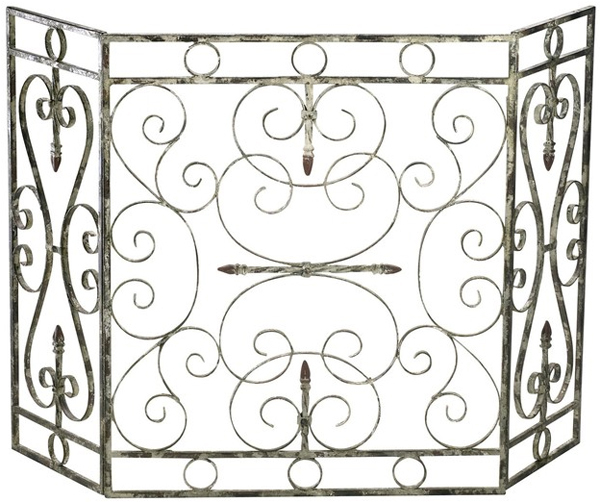 Using scrolls in metal furniture or decor is actually common; so looking at this you may think it looks common or ordinary when in fact it is not – the center of this screen is just captivating like the scroll details in it too. The detail on Effie is just fascinating, it showcases clean and calm lines that sort of soothes you when you look at it. 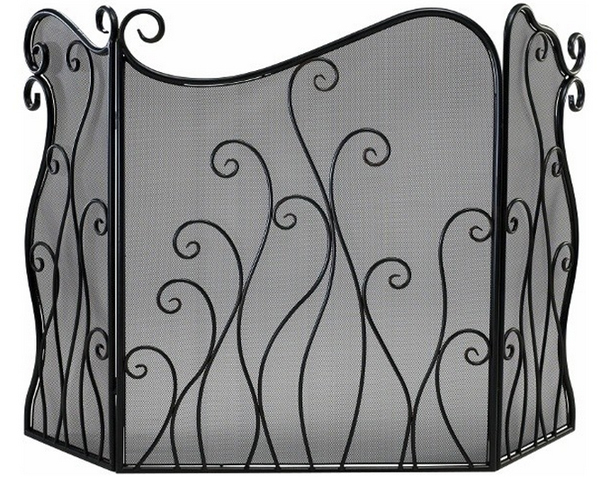 A Benzara special fireplace screen that you can use on the holidays! The details just remind you of Thanksgiving and Christmas! 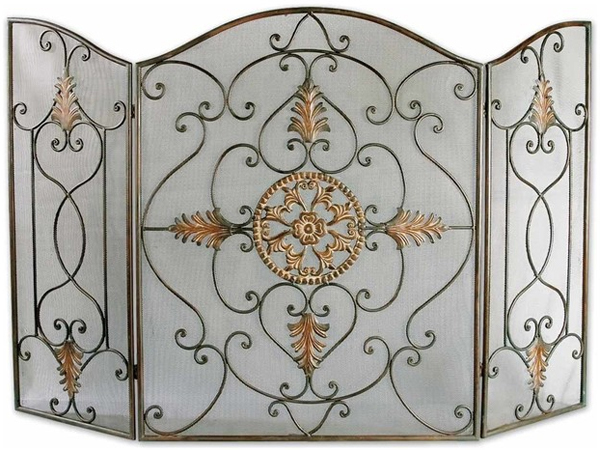 Combining colors in metal screens add depth and class to them – just as is seen on this fireplace screen. 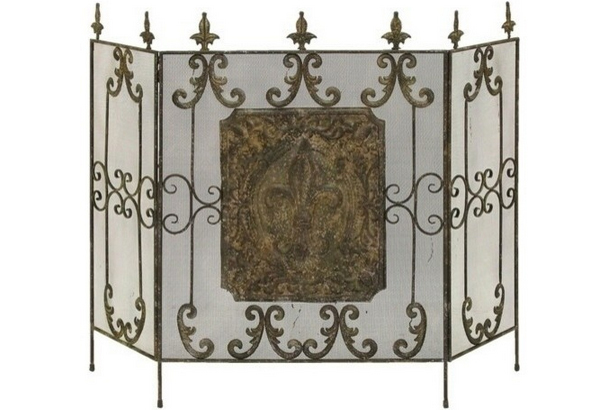 Intricate detailing done on this wrought iron screen! I love this one! Classy, simple and fancy! 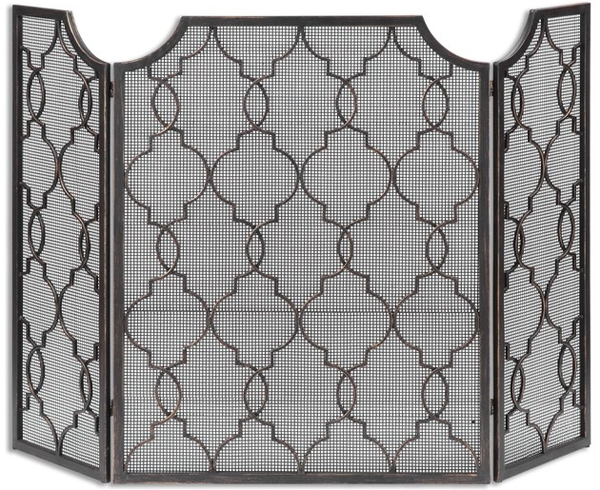 What more can you ask for in a fireplace screen? Haha. There seems so much love in this screen; I’m not sure if it’s the hearts or the curves! 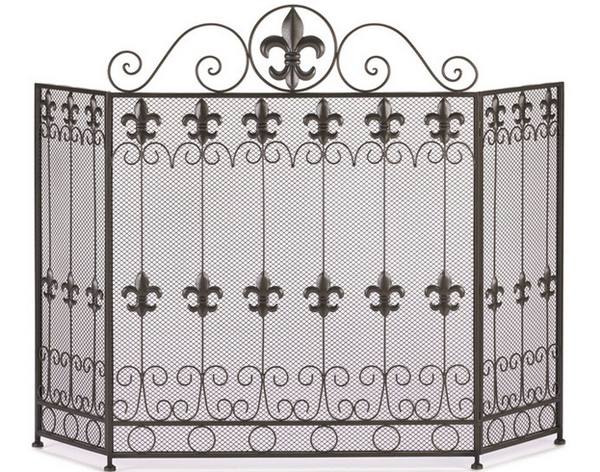 Uniflame sure continues in fascinating us with details they create with beautiful items like this one! 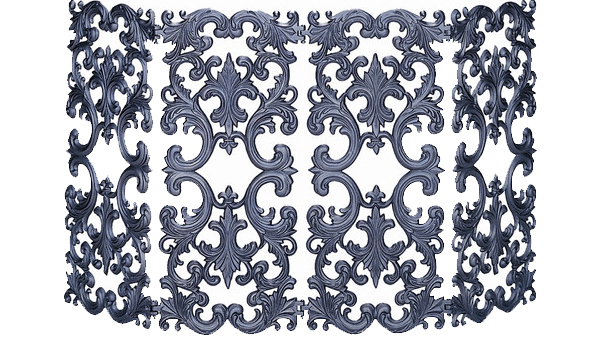 This is another French revival inspired material that I know people love! 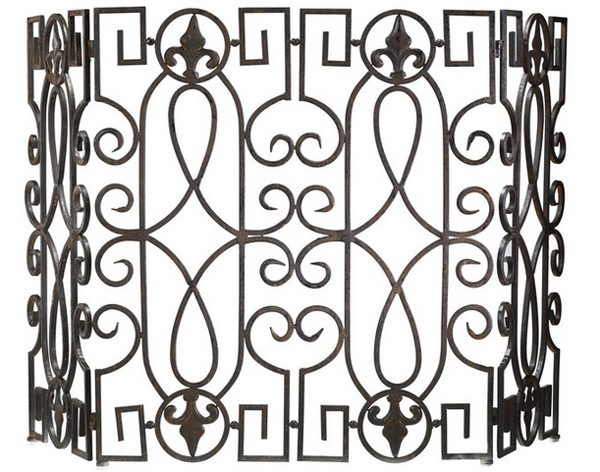 The detail of the design is just something anyone in the world will love! Pretty like a tiara right? 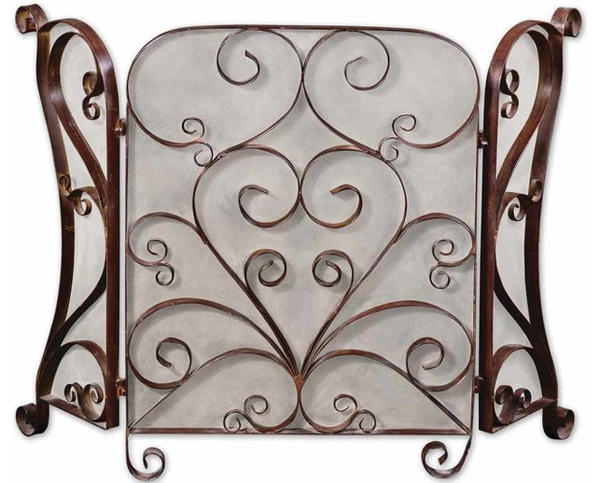 Want a conversational piece of item by the fireplace? Be sure to get one of these for that sole purpose! Here is a minimalist way of keeping your fireplace company! 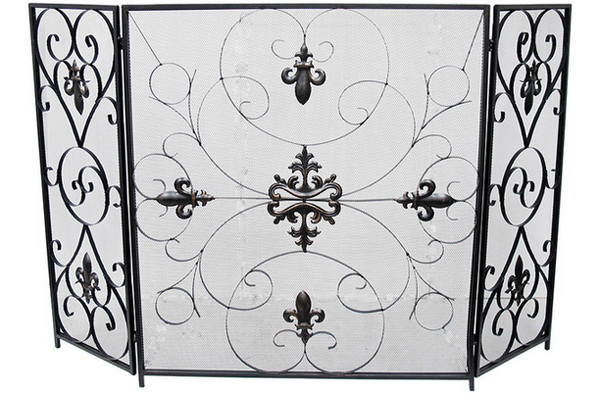 Need a larger fireplace screen? Looks like this one can do, right? 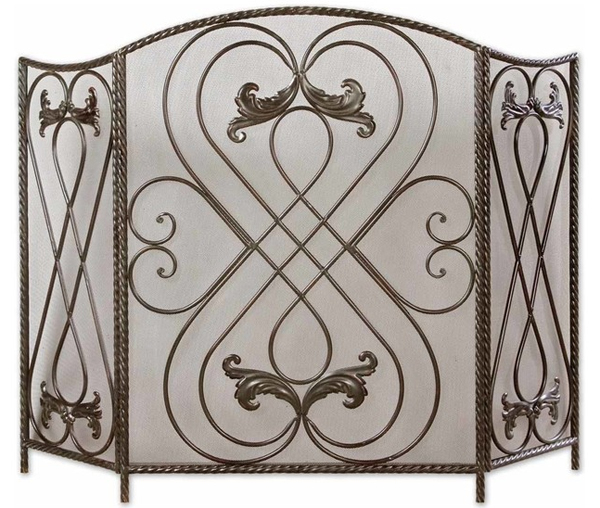 This sure is one fascinating list for me – if you loved it, which I think you did; you will love the 20 Gorgeous Home Decors: Contemporary Fireplace Screens just as much! 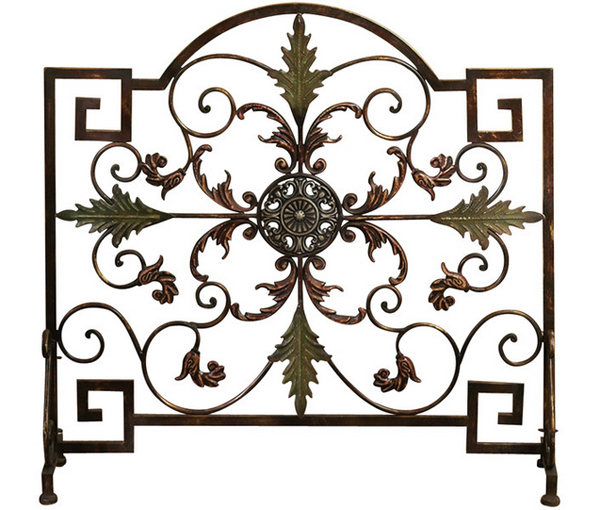 They cater to people who have fireplaces of course, but then again, there are those decorative fireplaces that you can just add to your homes and consider having one of these!